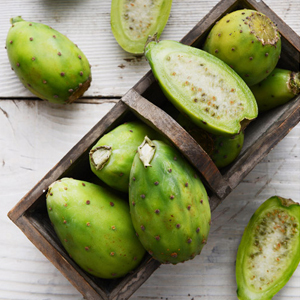 Where do cactus pears come from? 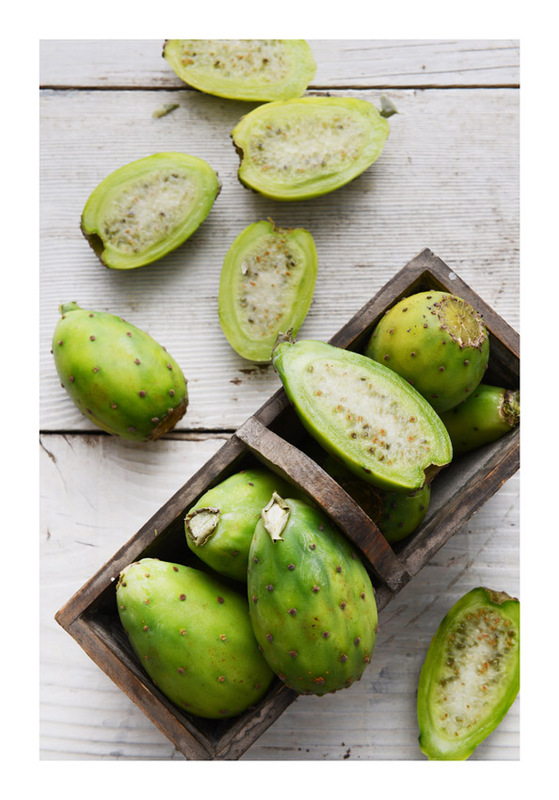 Cactus pears (Optunia species) are native to the semi-arid regions of central and southern America. They were introduced to South Africa more than 300 years ago to be used as fences to protect crops from wild animals. In 1974, the spineless Burbank variety that South Africans love so much today was introduced, mainly as a drought-tolerant crop for the arid Karoo regions. The excellent colour, flavour and sweetness of this type of cactus pear led to the cultivation of a number of these varieties for fresh fruit production. 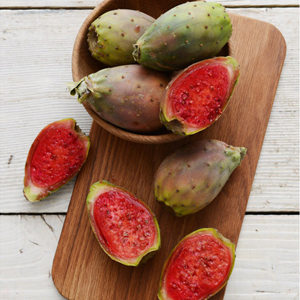 What are the different varieties of cactus pears available in SA? This local favourite has delicate white flesh and a subtle, fresh taste. 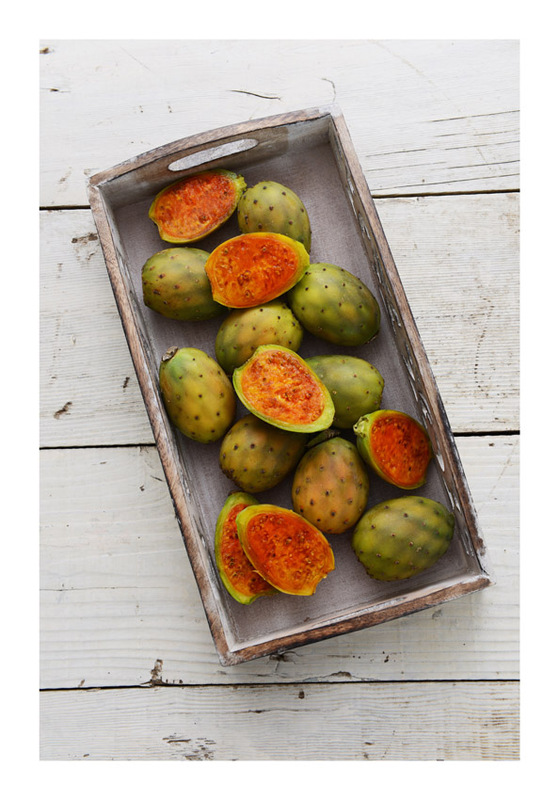 Bursting with vivid colour, this cactus pear has a deep sunshine yellow/orange flesh and a wild, sweet flavour. This ruby red/pink pear boasts crimson-coloured flesh and floral, exotic notes. This large green fruit sometimes has a slight red blush otherwise is light green inside and out with sweet-tasting flesh. 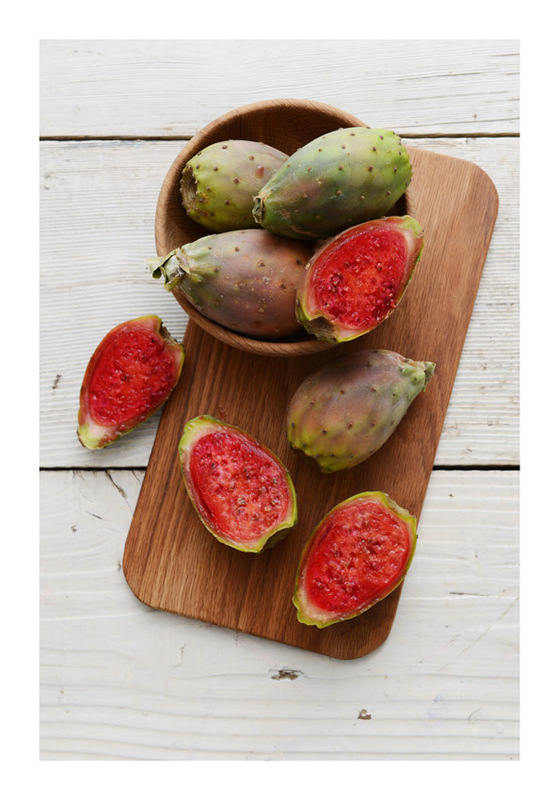 When are cactus pears available? They’re available from early-December until end April. 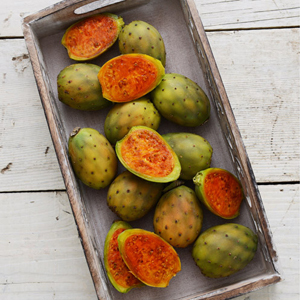 In some areas, you can also get certain types of cactus pears during winter. 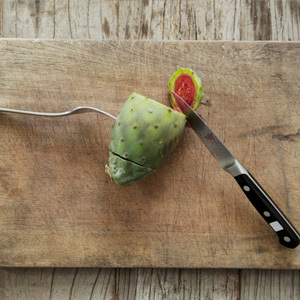 Unpeeled cactus pears stored at room temperature keep for up to two weeks, and unpeeled cactus pears stored in the fridge keep for several weeks, all without losing their flavour. How to know when a cactus pear is ripe? When picking a cactus pear in store, the fruit should be coloured but not overly so (bright red, yellow or orange means overripe). No mould or any decay should be present! The fruit should not look dehydrated. Peel all good fruit on purchase, put in fridge in bowl and enjoy over 1-2 days. 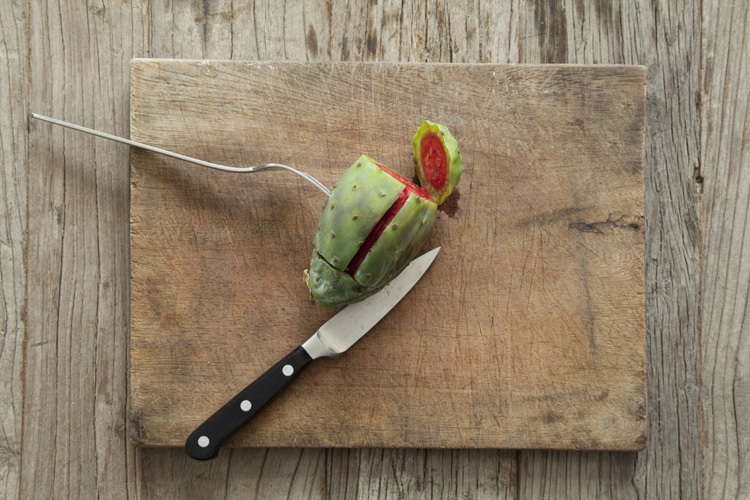 Cactus pears must be handled carefully as they bruise easily. 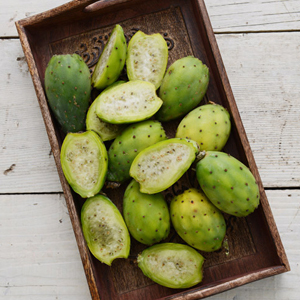 Being a 100% natural fruit, cactus pears are a source of vitamins and minerals. 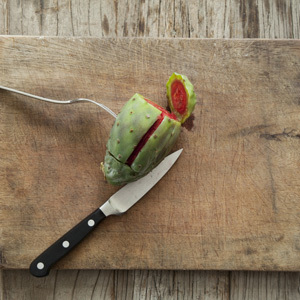 For years some cultures have claimed the cactus pear offers medicinal benefits. In traditional Mexican folk medicine, for example, it was used to treat diabetes. Other cultures have used the fruits to treat burns, stomach ailments, cuts and bruises, sunburn and windburn, constipation and cold symptoms, and to reduce inflammation and cholesterol levels. 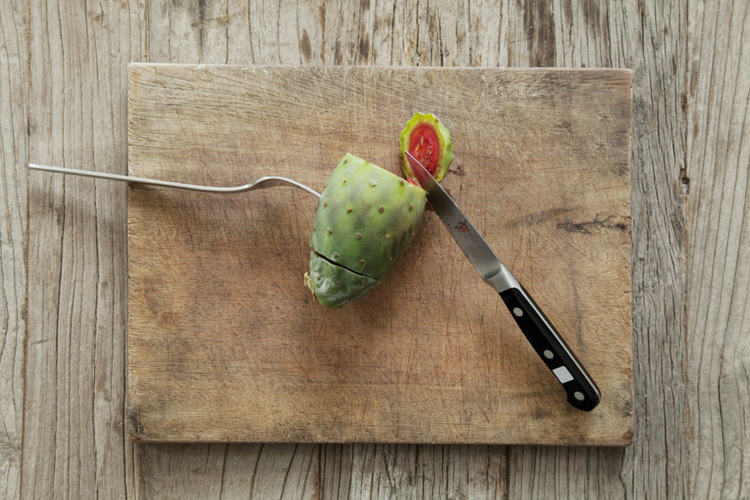 While it remains to be seen if these traditional health claims can be substantiated, the cactus pear has certainly caught the attention of the wider scientific community. Of particular interest are the red varieties and the potential benefit the phytochemicals they contain, called betalains, may have on the body. 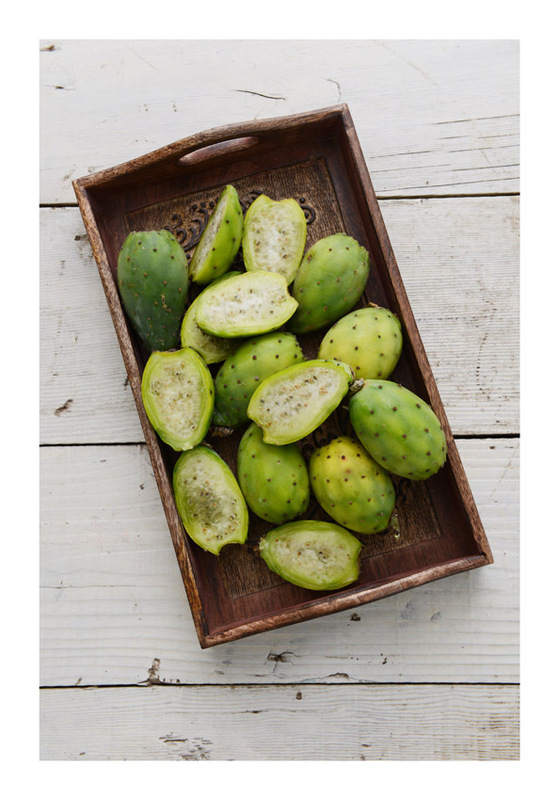 But what we do now know is that cactus pears are naturally free from fat; are a source of fibre, biotin, the antioxidant vitamin C and manganese; and are a great addition to any diet. Composition per 100g gram edible portion. 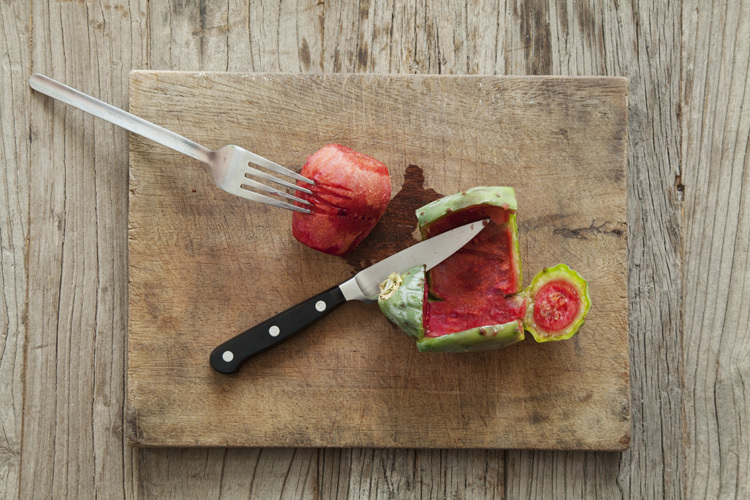 How do you peel a cactus pear? 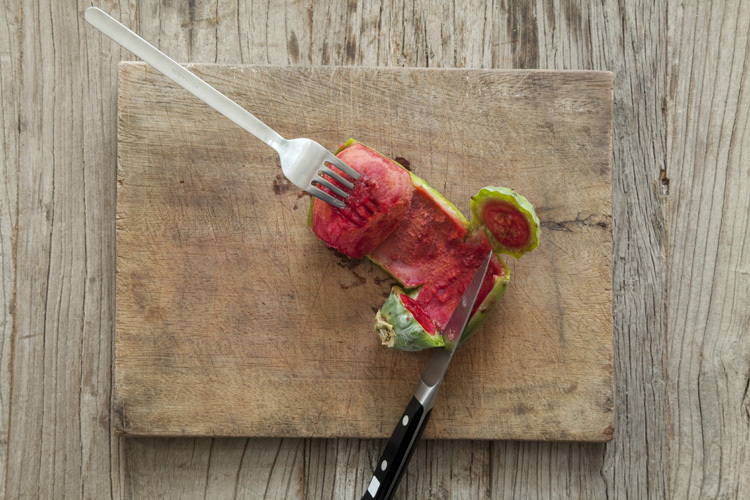 Hold the fruit steady with a fork and cut off each end. 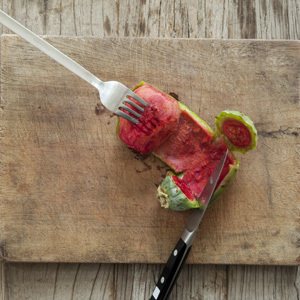 Next, vertically slice through the fruit’s skin. 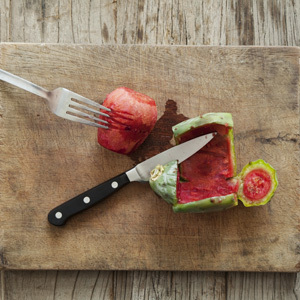 Then use a knife to cut the skin away from the fruit. Finally, roll the fruit out of the opened skin. Enjoy immediately or use in a recipe of your choice.